We believe your home is your sanctuary, a place to be your best self. We are aficionados of the healthy, casual, indoor-outdoor lifestyle we’re all so fortunate to enjoy here in Southern California! Since 2005, it's been our mission to work side by side with our clients to create comfortable, timeless, luxurious retreats that are built to last and designed to be enjoyed in good company. I am a true California girl, born and raised. A lover of trees. Spectator to the alluring Pacific in its many moods. I am inspired every day to create, transform and celebrate nature’s beauty and light through my design work. I started designing “dream homes” when I was very young, free-handing floor plans in graph paper notebooks. After many years spent honing those skills, I feel so fortunate now to have the opportunity to share that passion with my wonderful clients. Particularly when it comes to designing unique custom kitchens – our signature area of expertise – I am energized by the process of gathering and refining natural elements such as stone, metal, sunlight and wood grain in my quest to deliver the concept of home as living, breathing sanctuary. I have in-depth discussions with my clients about cooking and entertaining. Isn’t that what life is all about? The cultivation of the experience of home is far more important to me than the style or outward appearance of a space. I encourage my clients and everyone I meet to appreciate life’s daily rituals: breathe in the fresh air, feel the warmth of the sun on your face, enjoy a delicious meal and savor this beautiful place we call home. Laurie Burke is a Kitchen and Bath Designer. Started in 1996 and quickly became a go-to expert on kitchen & bath design for the residential and construction industry; Laurie Burke is a seasoned residential kitchen and bath design specialist familiar with all aspects of remodeling from high end to flipper-fast and economical. ASID Award Winning Designer. 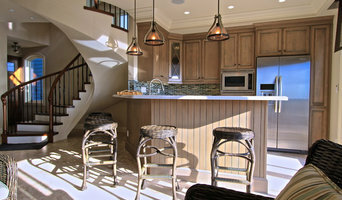 Fine Designed Interiors specializes in high end residential interiors, Kitchen and bath designs. We provide a vast diversity of knowledge, professionalism, expertise, design creativity, and attention to detail for each clients unique project. Laura has been providing Interior Design Service and space planning solutions to Southern California clients for over 19 years, with total industry experience exceeding 30 years. She is formally educated, and is a Certified Interior Designer, a Certified Kitchen Designer, a Certified Bath Designer, and has successfully passed the prestigious NCIDQ certification. It is a tremendous blessing and privilege to be a part of enriching a clients home and promoting wealth of life and memories for years to come. What does a Corona del Mar kitchen designer or bathroom designer do? A kitchen and bath design professional in Corona del Mar, CA knows to take all of these crucial points into consideration and can help plan the layout, materials and overall look and feel of either of these rooms in your home. Kitchen designers, as well as bathroom designers, are constantly staying on top of trends in the ever-changing industry. The designer also knows the best layout for your room, and can configure the layout for optimal functionality and utilization of the space. In the kitchen the refrigerator, stove and sink should be laid out in relation to one another, and it should be seamless and easy to move from one to the other. A Corona del Mar kitchen and bath designer will know how to work with a contractor and architect to plan the flow of the room to work best for your needs. Here are some related professionals and vendors to complement the work of kitchen & bath designers: Kitchen & Bath Fixtures, Appliances, Tile, Stone & Countertops, Cabinets & Cabinetry, Woodworkers & Carpenters. Before you talk to bath and kitchen designers in Corona del Mar, CA, consider how you will use the room. For your bathroom, is it necessary to have a bathtub for bathing kids or pets, or would a shower suffice? Perhaps all you need is a half bath for downstairs or a smaller guest bath for occasional use. Similarly, for kitchen renovations consider your cooking habits. Do you eat out every night but need a space to entertain in? If so, a smaller kitchen might be fine for you, with a space devoted to wine storage or a bar, whereas others might prefer a bigger stove or extra cabinets. When interviewing Corona del Mar kitchen and bath designers, make sure to share these habits so they can best fit the room to suit your needs. Find a Corona del Mar kitchen designer or bathroom designer on Houzz. 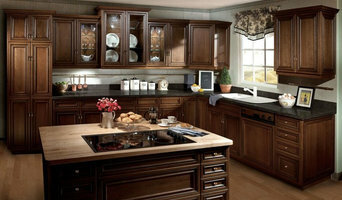 Narrow your search in the Professionals section of the website to Corona del Mar, CA kitchen and bath designers. You can also look through photos in Corona del Mar, CA to find a kitchen or bathroom you like, then contact the professional who designed it.